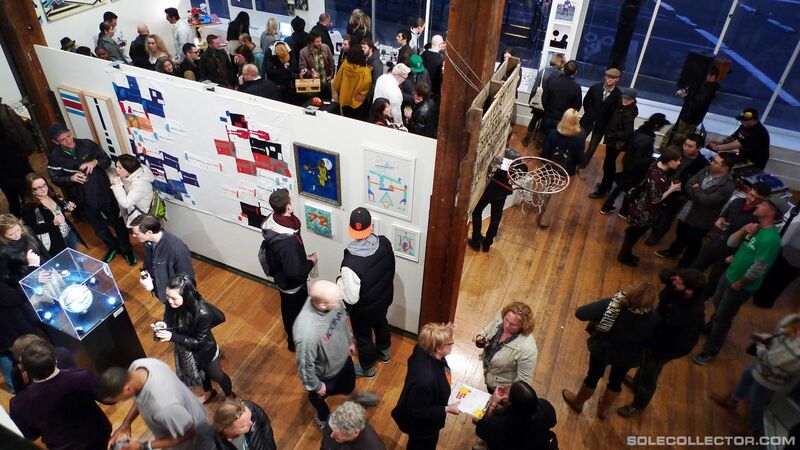 Hundreds of people turned out on Saturday night in downtown Portland for the Nike Graphic Studio 2.0 Art Show. 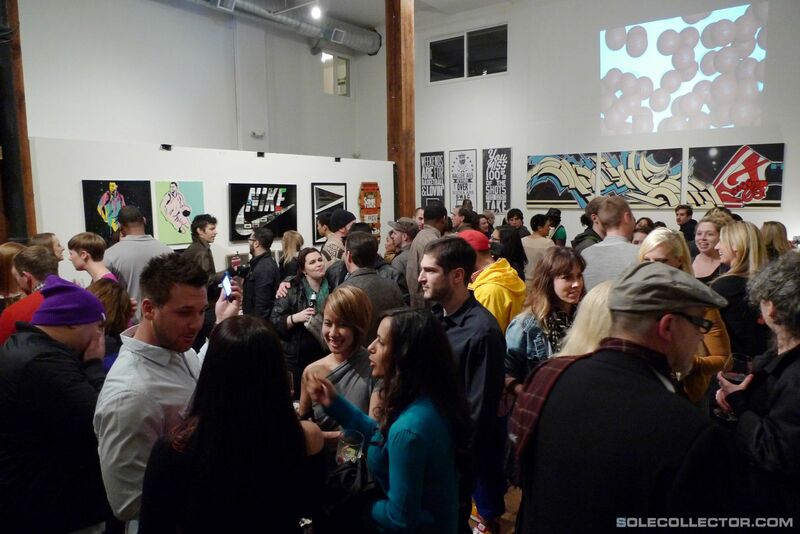 Hundreds of people turned out this past Saturday night in downtown Portland for the Nike Graphic Studio Art Show 2.0, an event showcasing original artwork by over thirty-six Nike graphic designers. 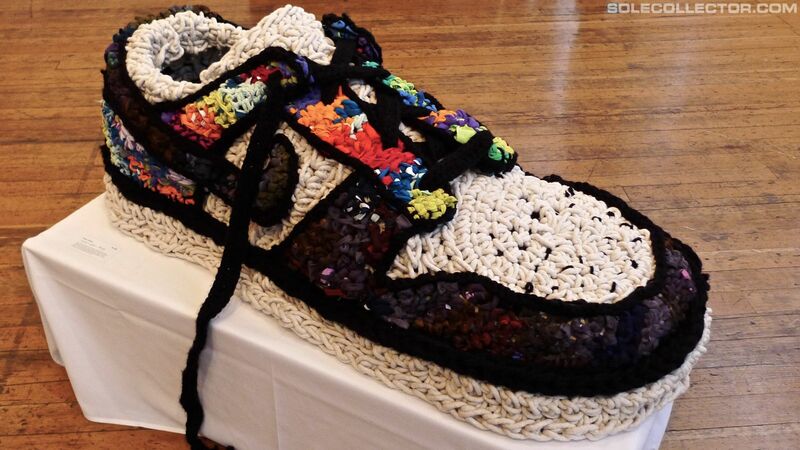 The show was held at the The Cleaners space in the Portland Ace Hotel, where the artists displayed work ranging from hand-painted canvases to giant crocheted sneakers. Organized by Nike designers Eugene Serebrennikov and Chris DeGaetano, preparations for the show began over two and a half months ago, culminating with Saturday night's display. 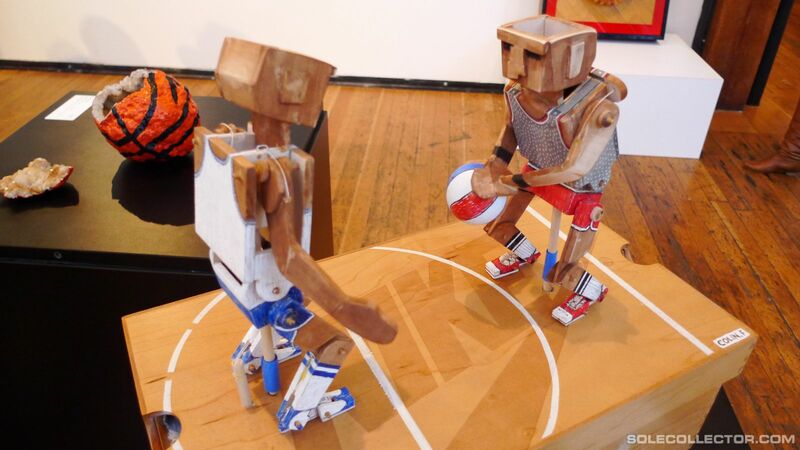 The collegiate tournament-inspired "Old School vs. New School - One And Done" theme seemed to resonate with attendees, who began purchasing pieces as soon as the doors opened at 7:00 P.M. 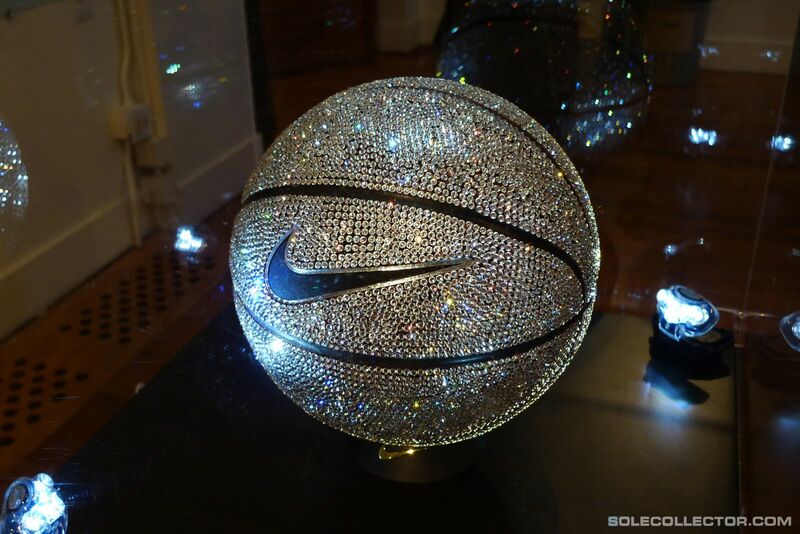 Proceeds from the event benefit Self Enhancement, Inc. (SEI), a nonprofit organization supporting at-risk urban youth in the Portland area. 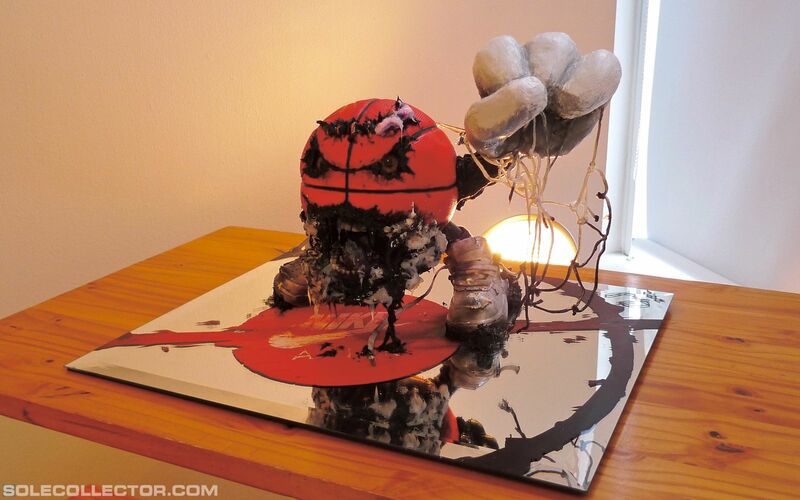 "We connected with SEI because our goal is not only to showcase our artwork, but to also inspire the community," explained Serebrennikov. 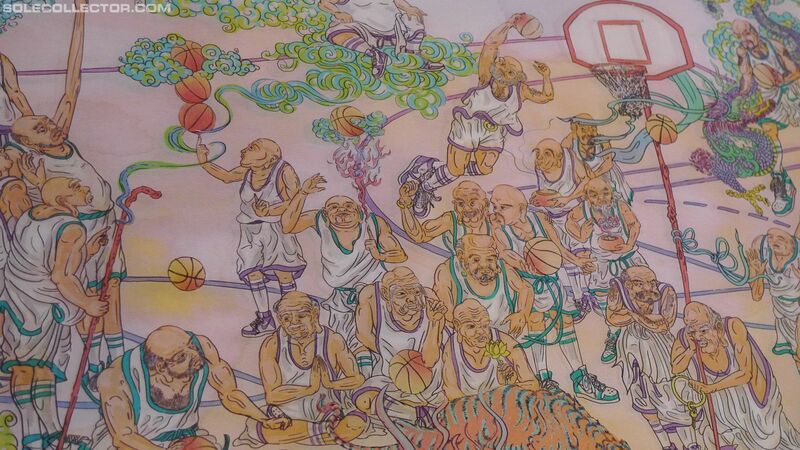 "SEI is a charity that has deep roots with Nike, and we were excited to donate all of our proceeds to them." 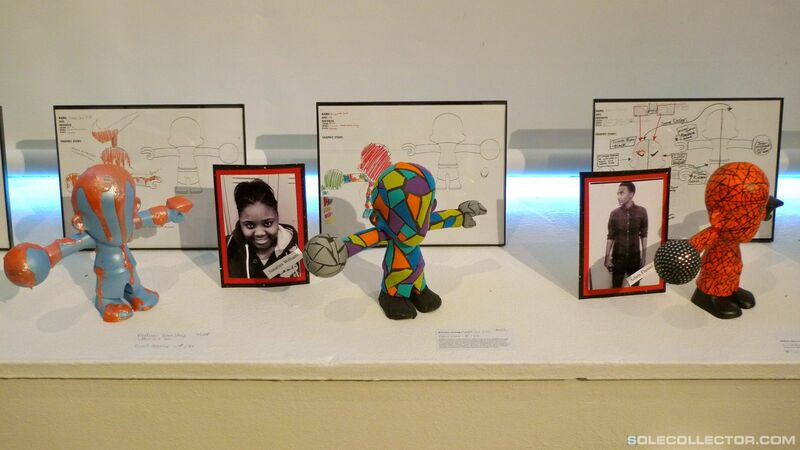 The partnership between the two groups was put on display on Saturday, as the exhibition included several custom figures designed by SEI students in collaboration with Nike graphic artists. Is a third show on the way? 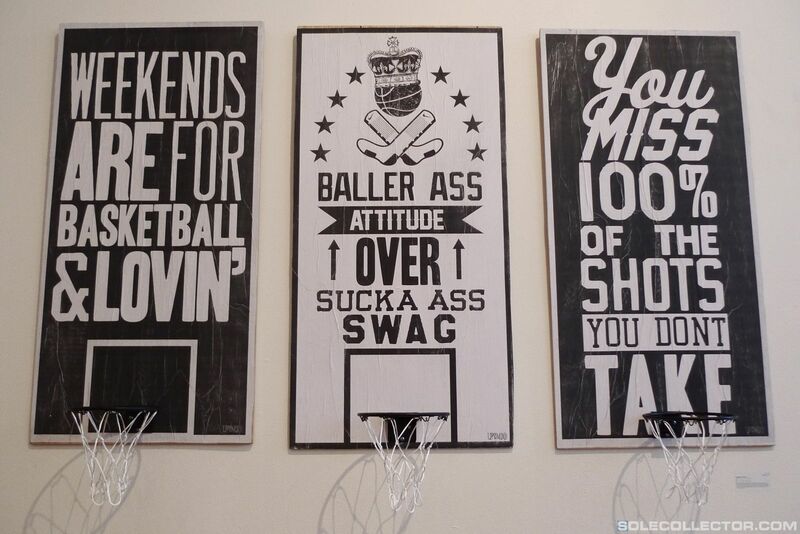 "This is only the beginning of the Nike Graphic Studio Art Shows," said Serebrennikov. 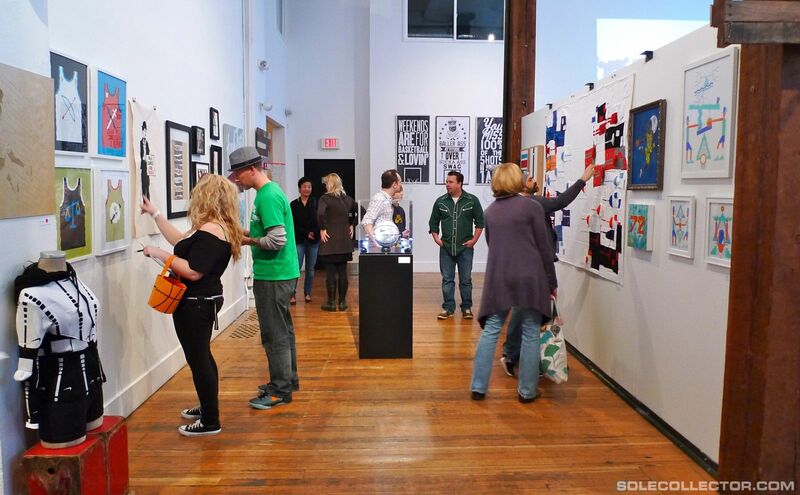 "We hope to grow bigger and better, and create more of an impact in the art community." 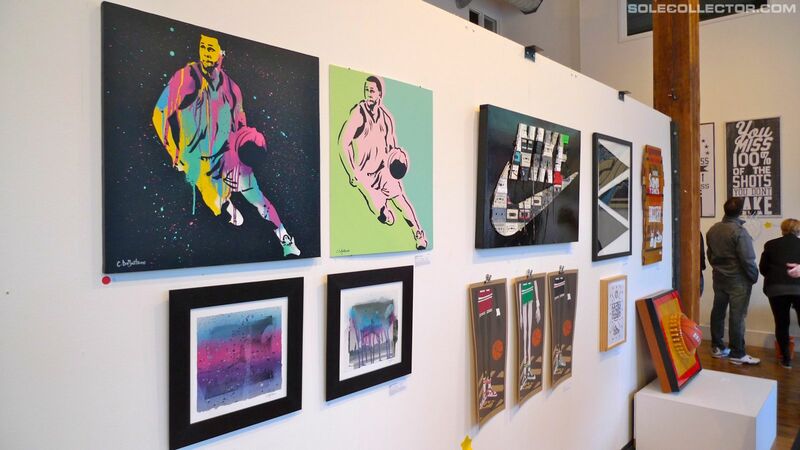 Stay tuned to Sole Collector for more coverage from the Nike Graphic Studio Art Show 2.0.